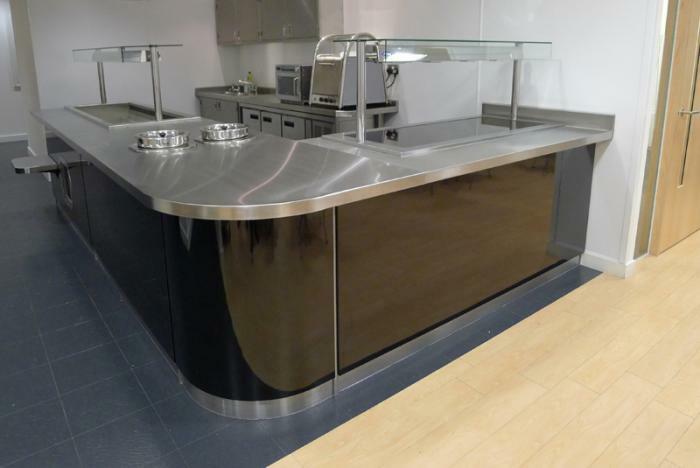 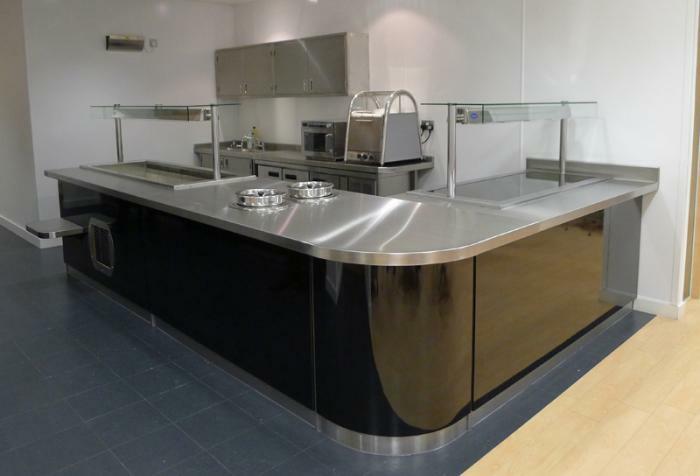 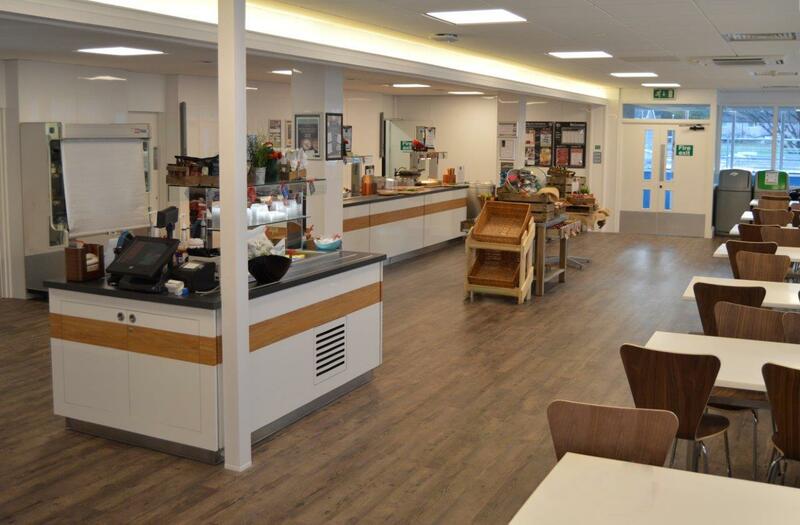 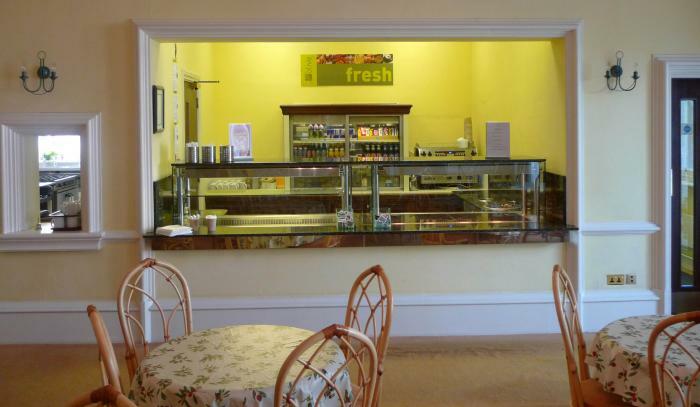 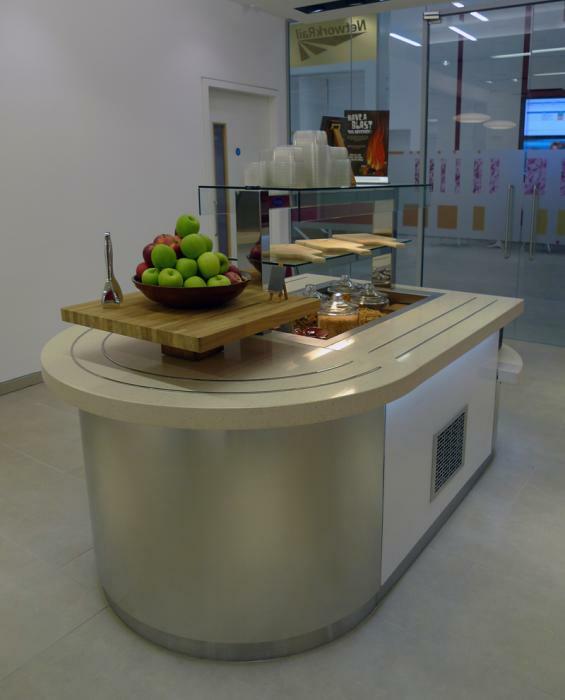 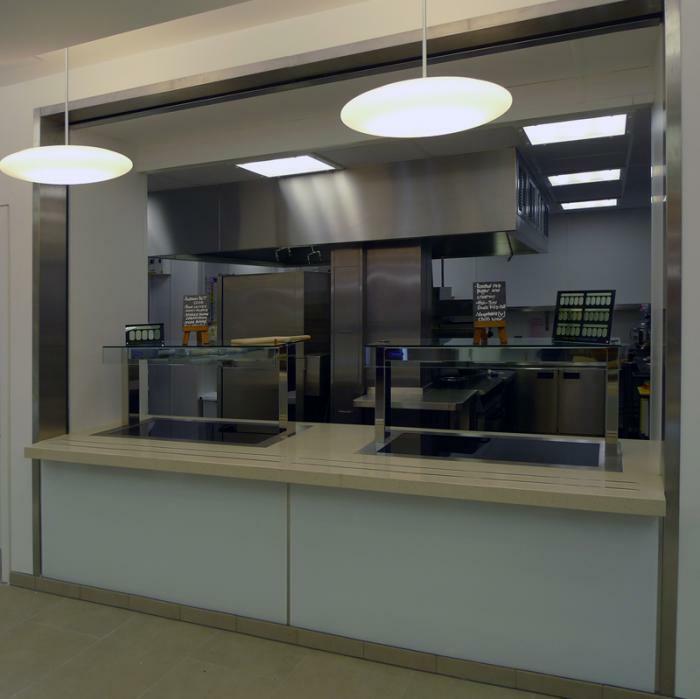 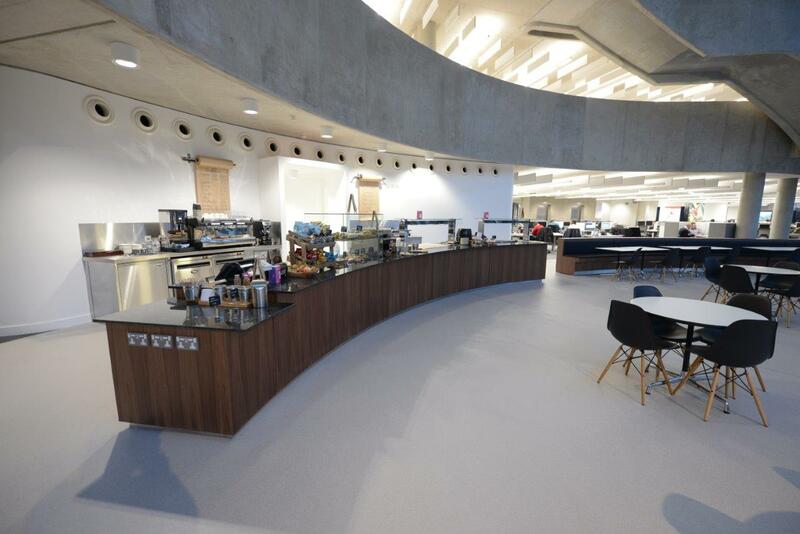 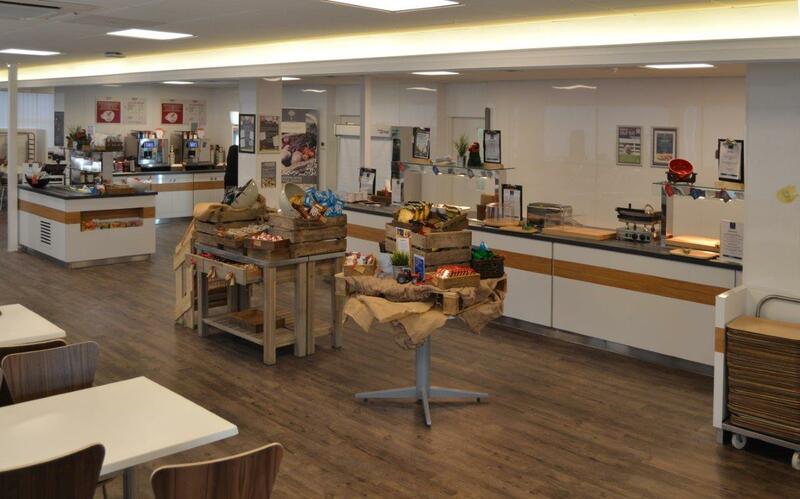 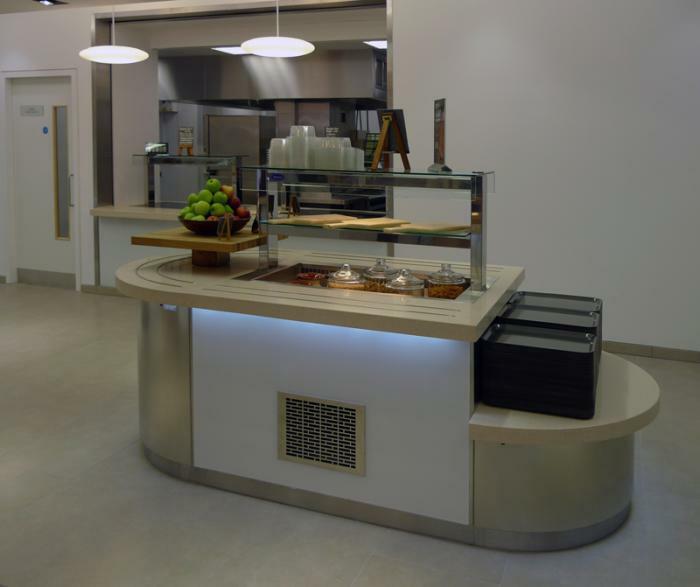 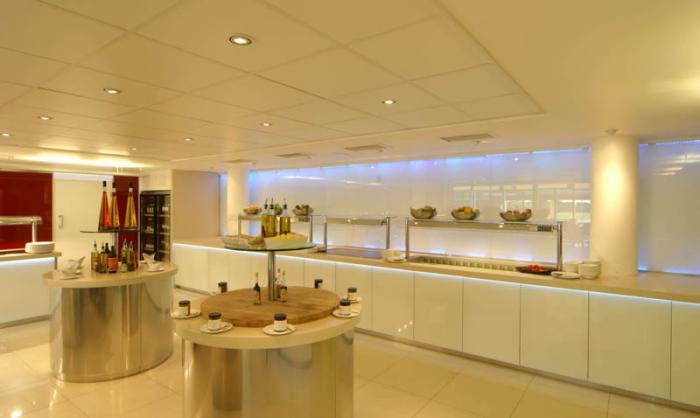 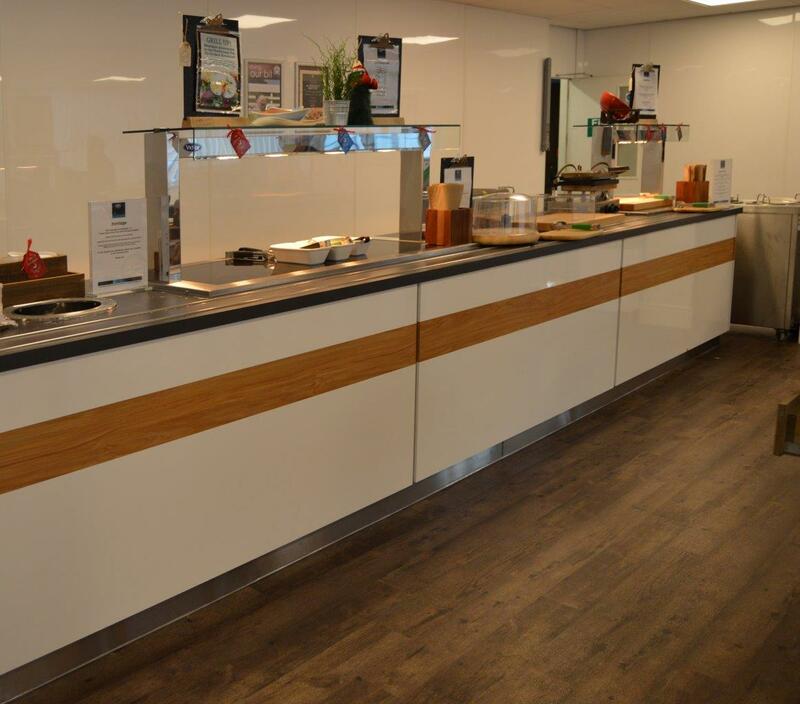 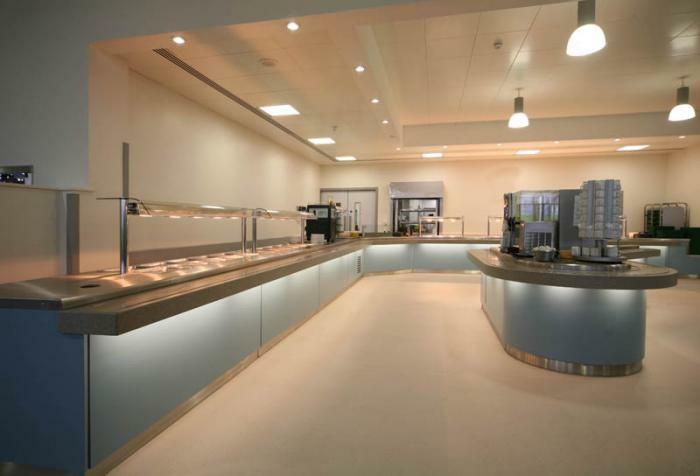 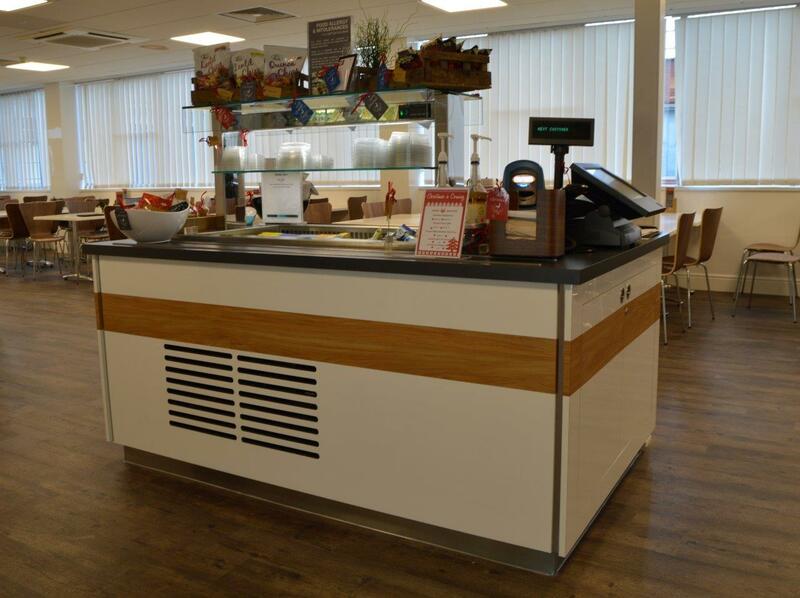 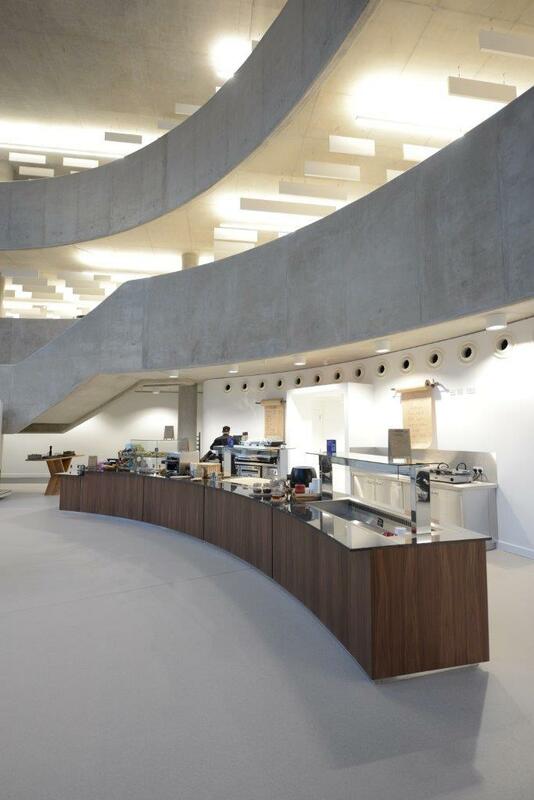 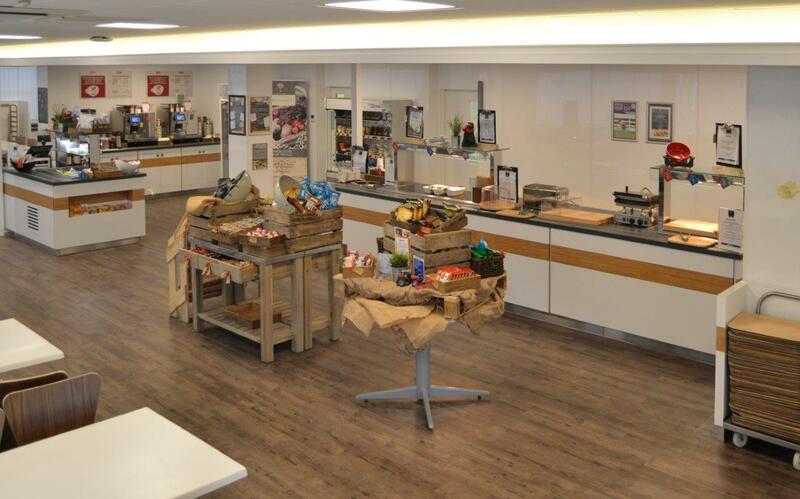 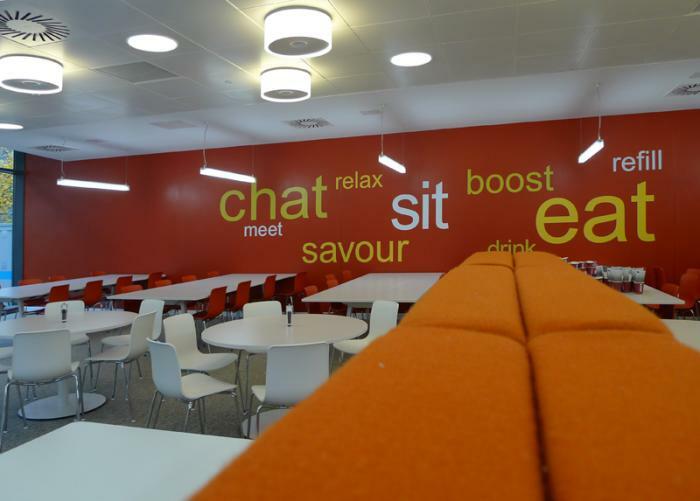 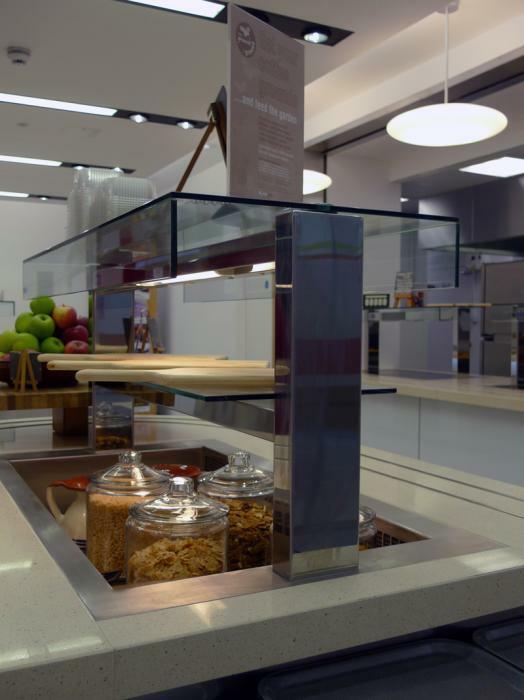 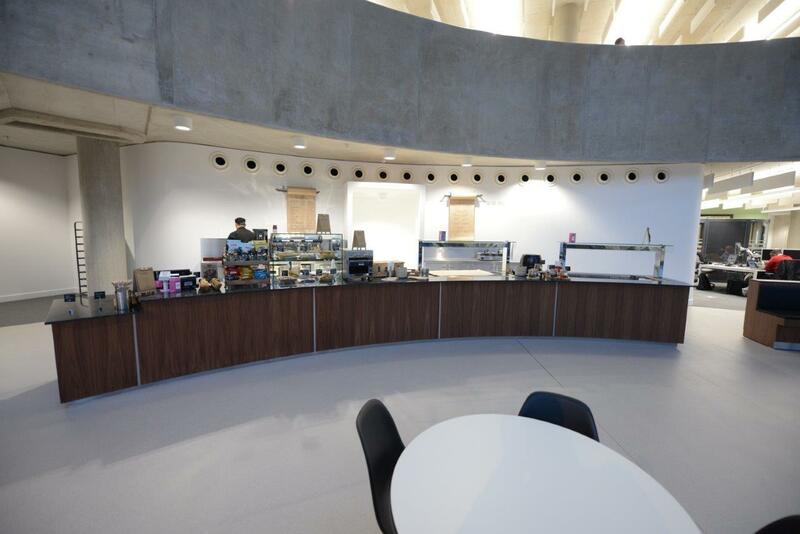 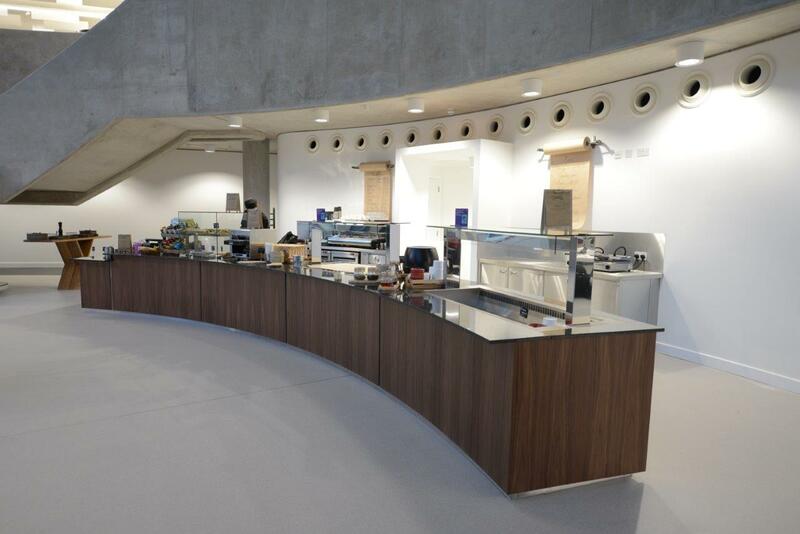 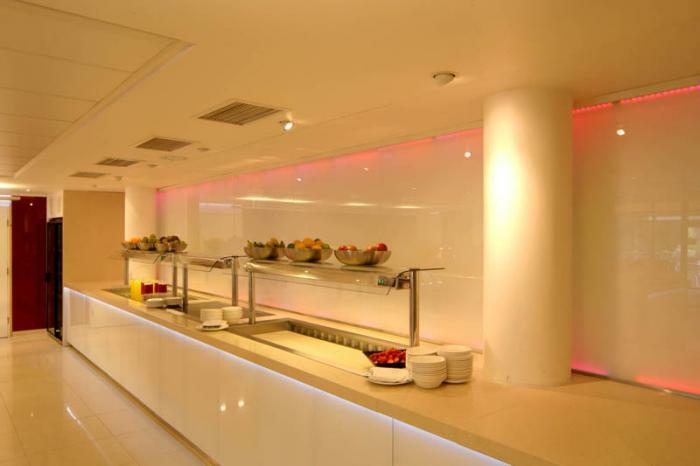 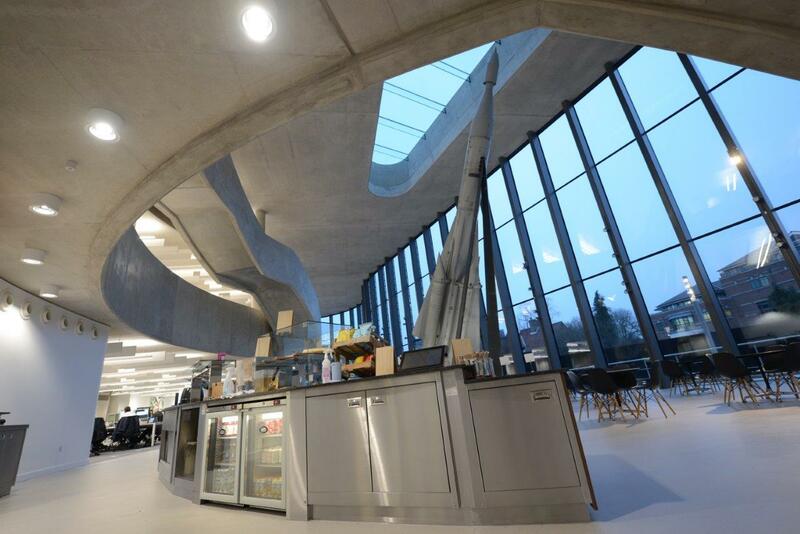 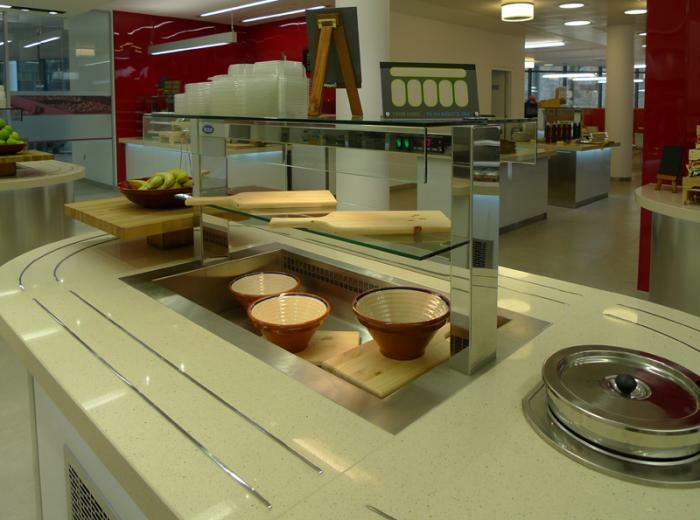 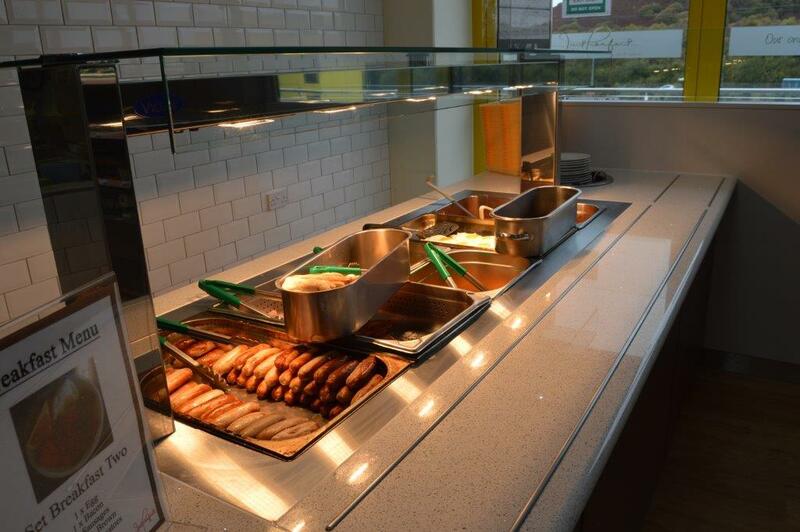 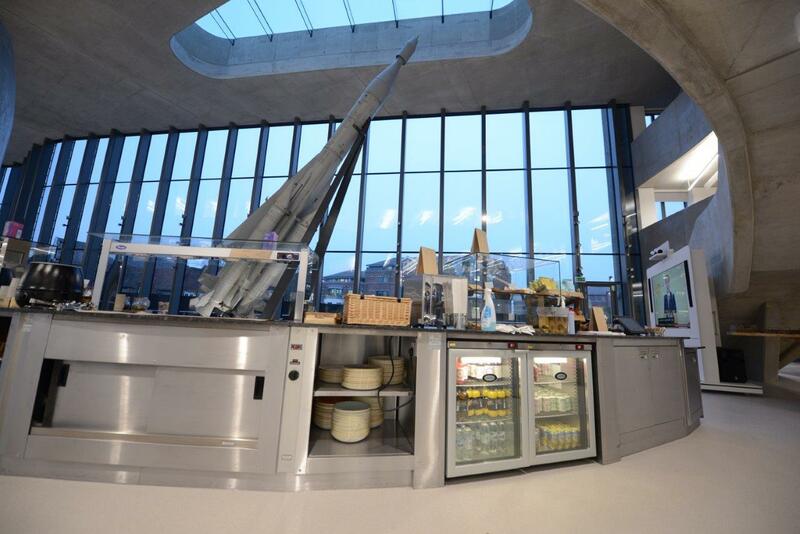 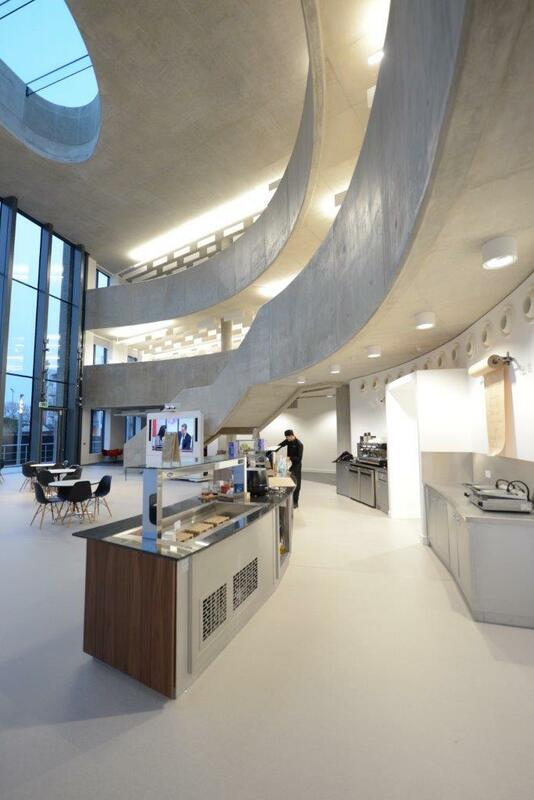 Bespoke Food Servery Installation at George Stephenson House – York. 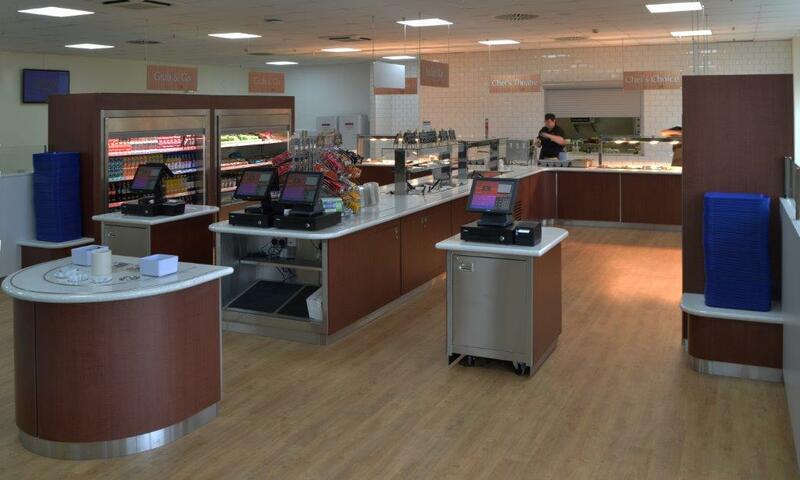 Comprising refrigerated salad well, hot food counter, Coffee bar, cashier stations and refrigerated multi-tier display. 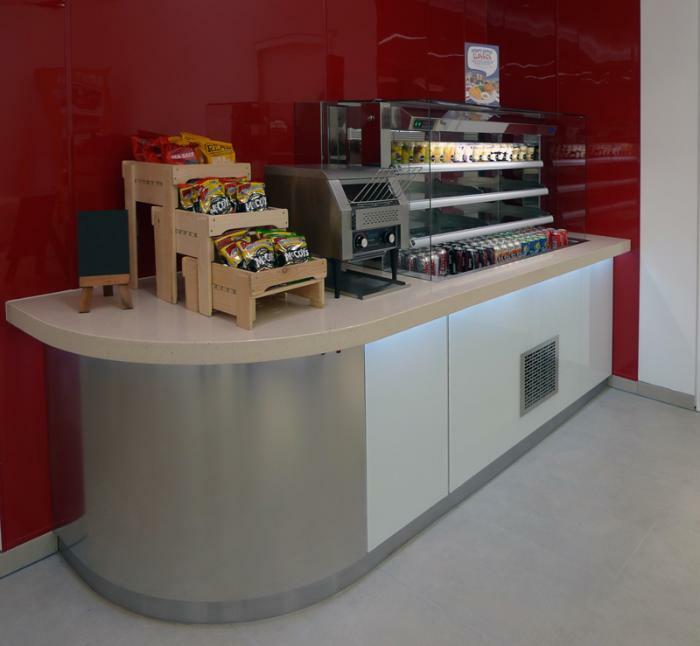 The counter features Silestone counter tops, LED lighting glass fronted body panels with flat glass square food servery gantries and inlaid tray slide. 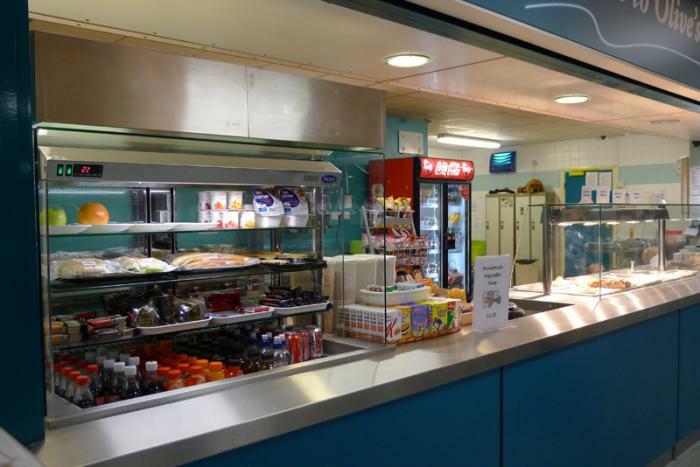 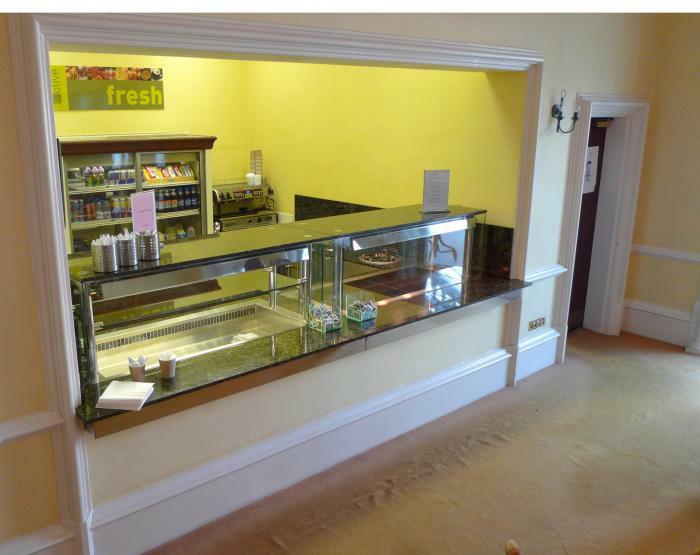 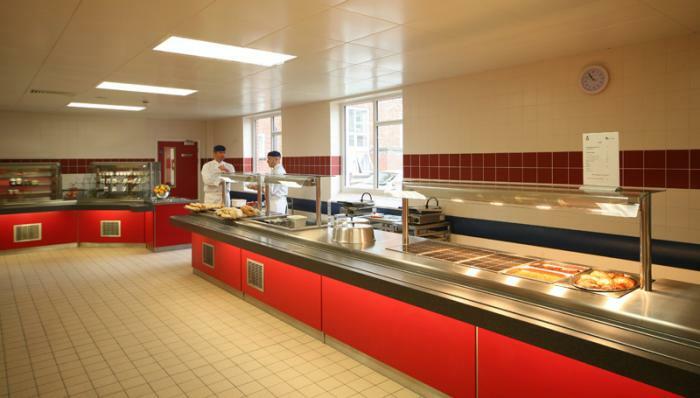 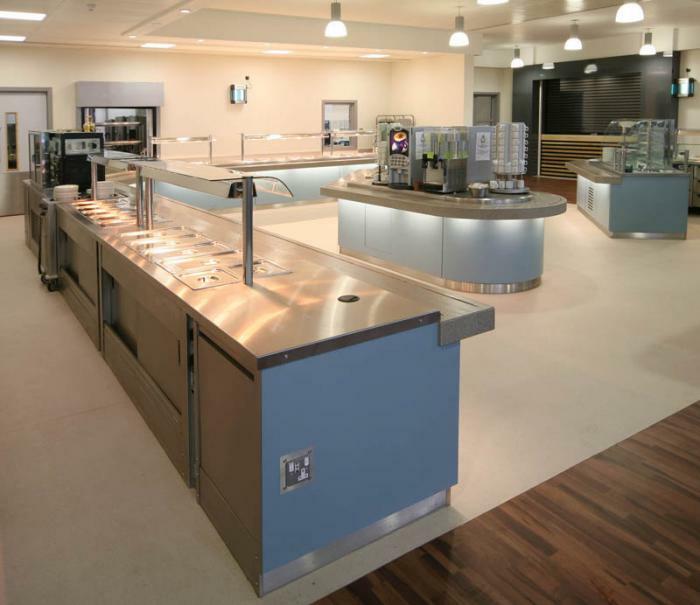 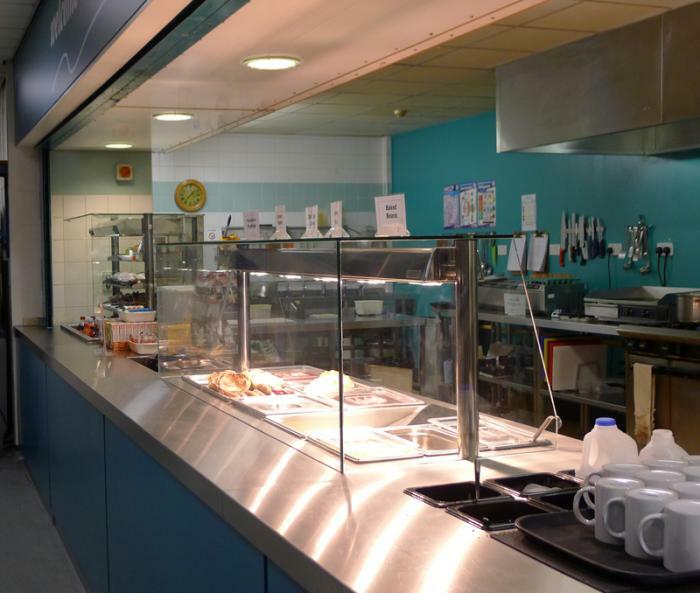 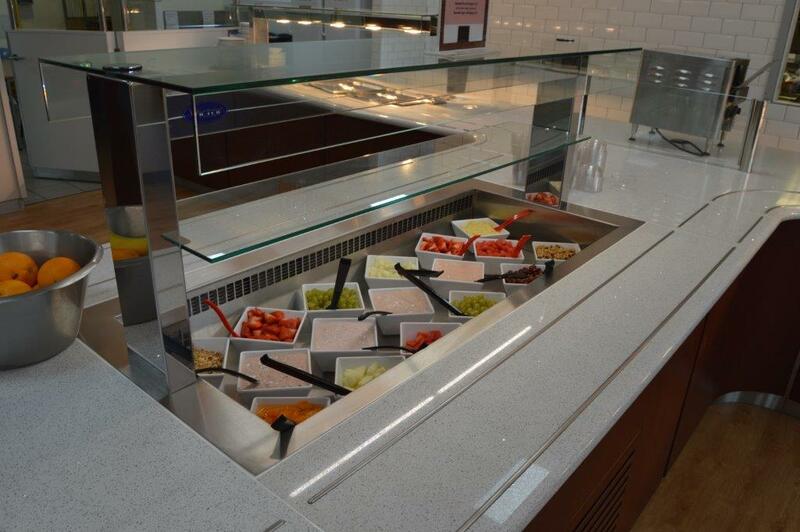 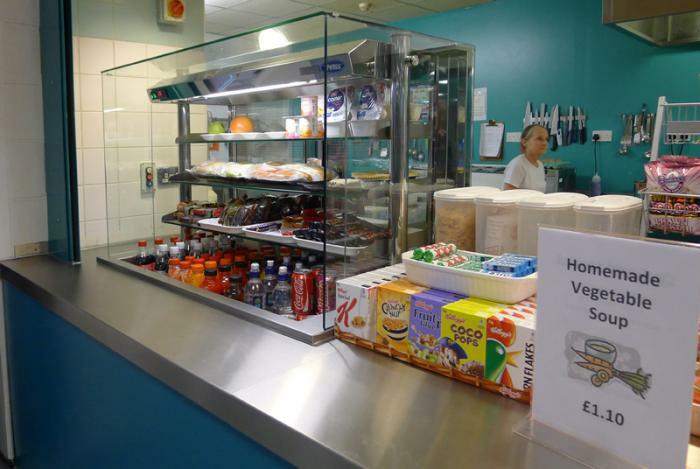 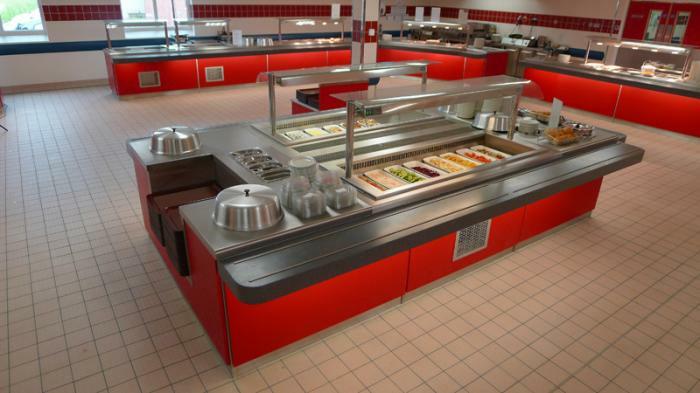 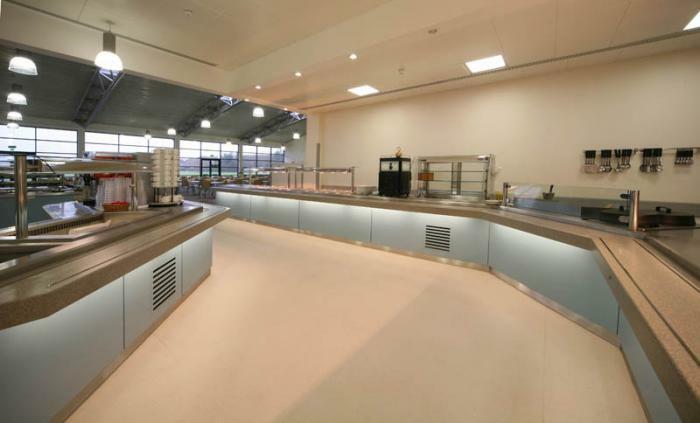 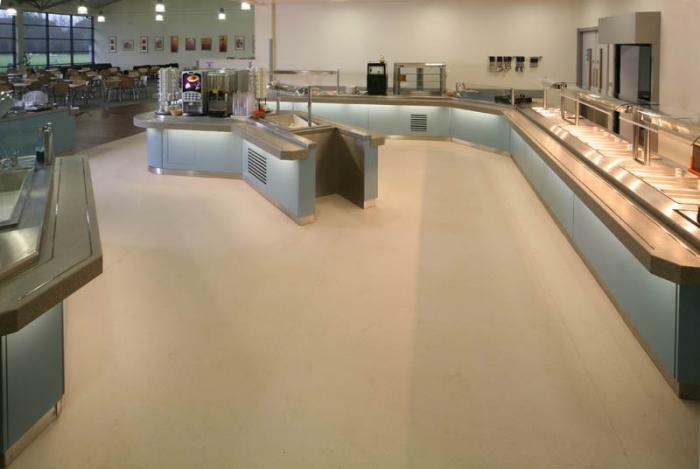 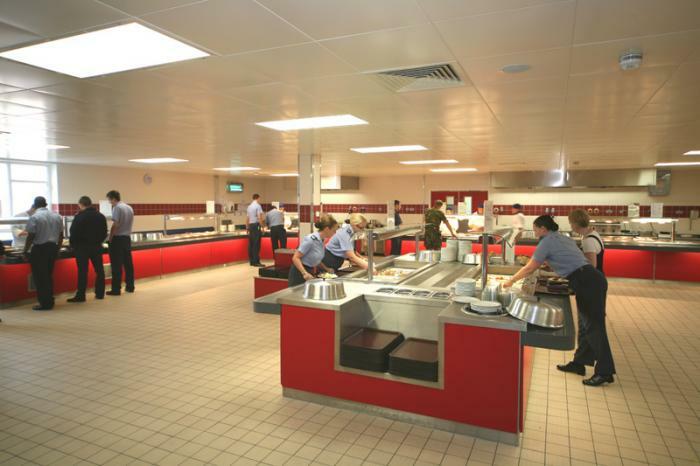 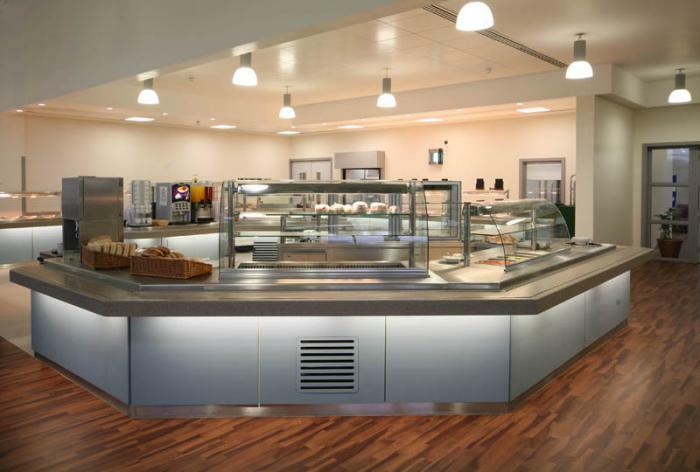 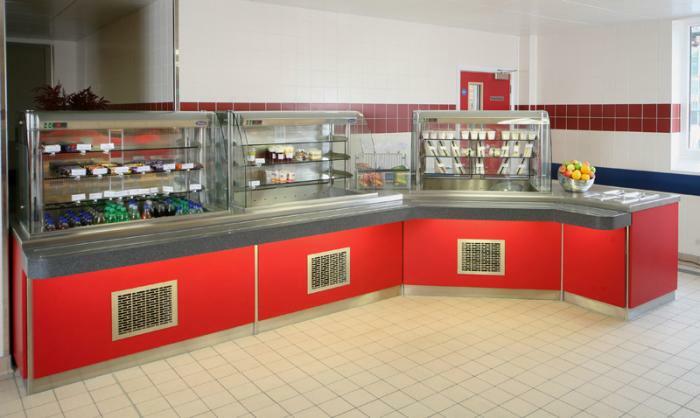 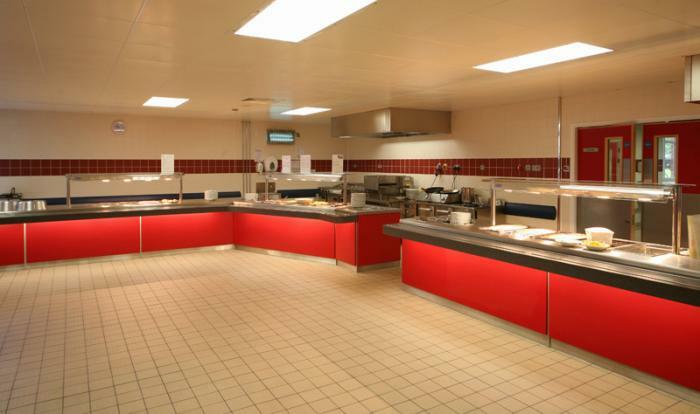 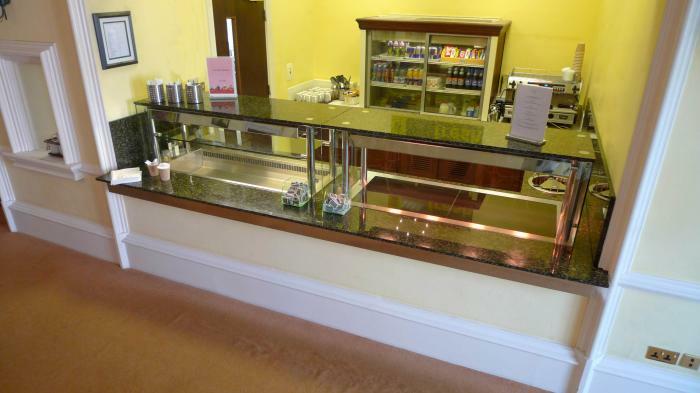 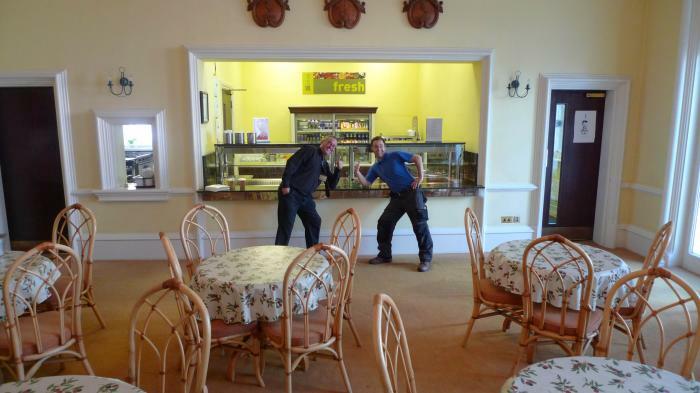 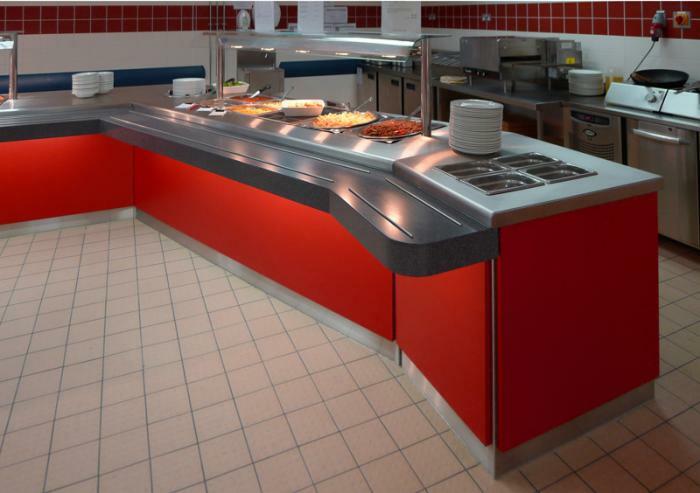 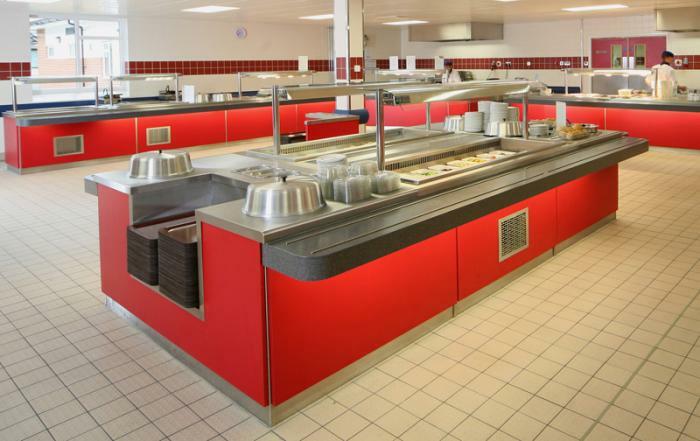 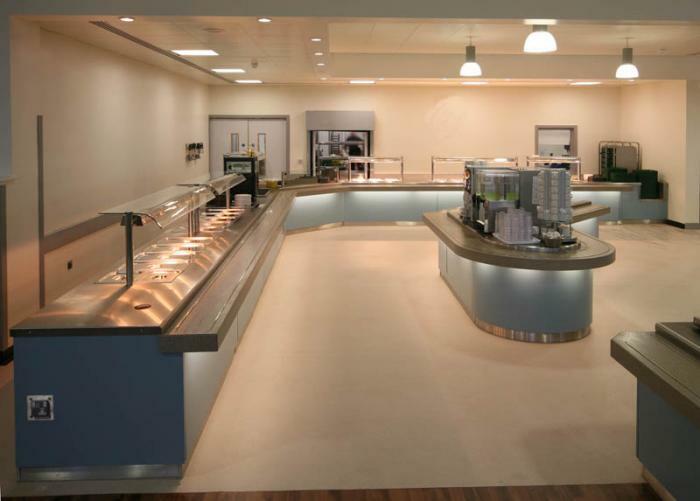 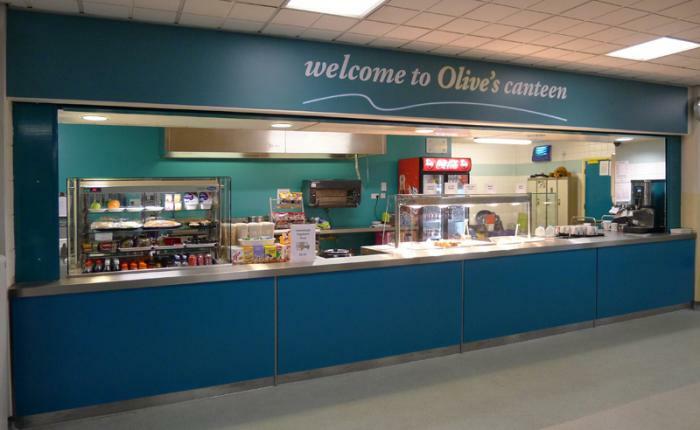 Large Food Servery Counter Installation at Junior Ranks Mess at RAF Leeming. 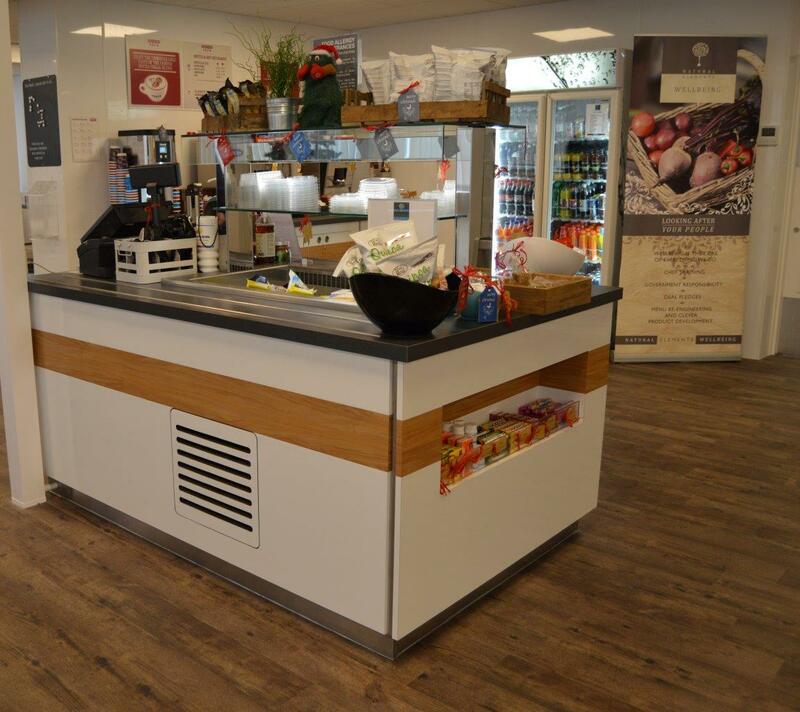 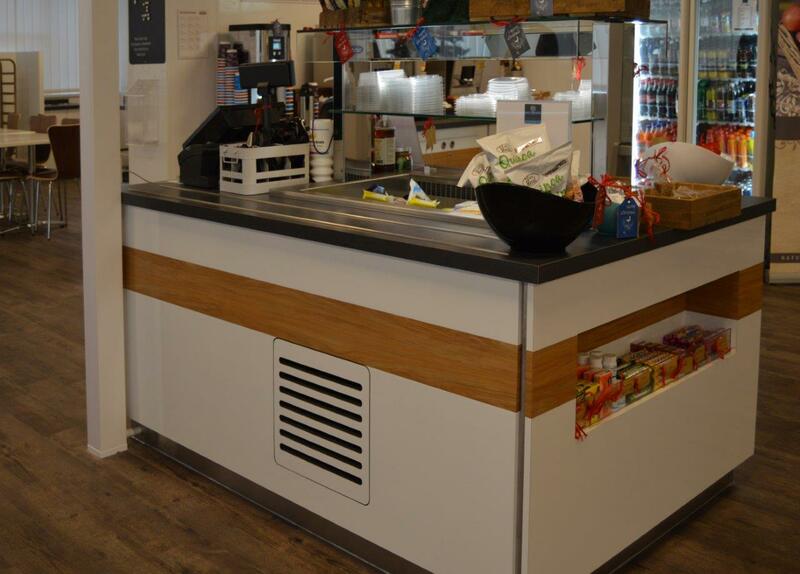 Bespoke design Counter was built to MOD Spec 42 standards and features the latest Victor energy saving refrigeration technology. 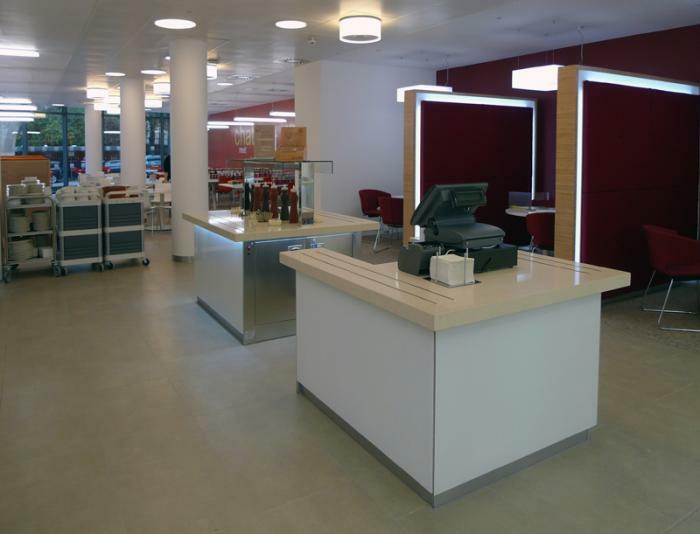 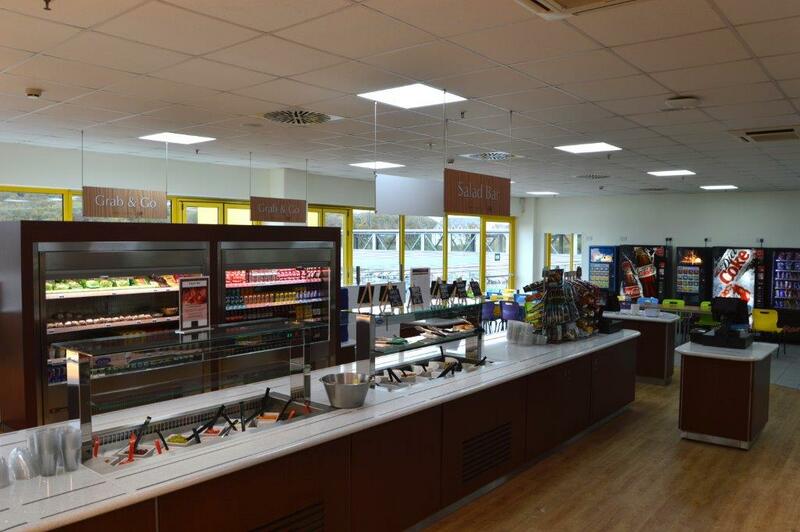 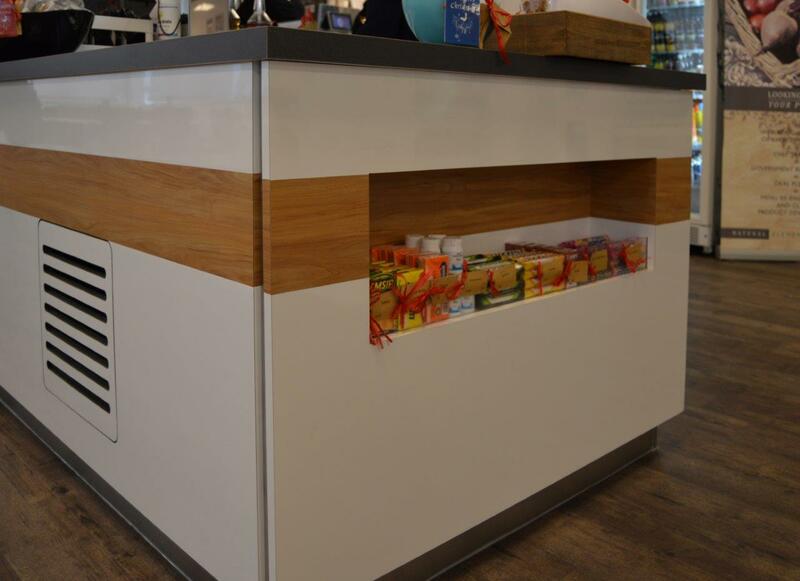 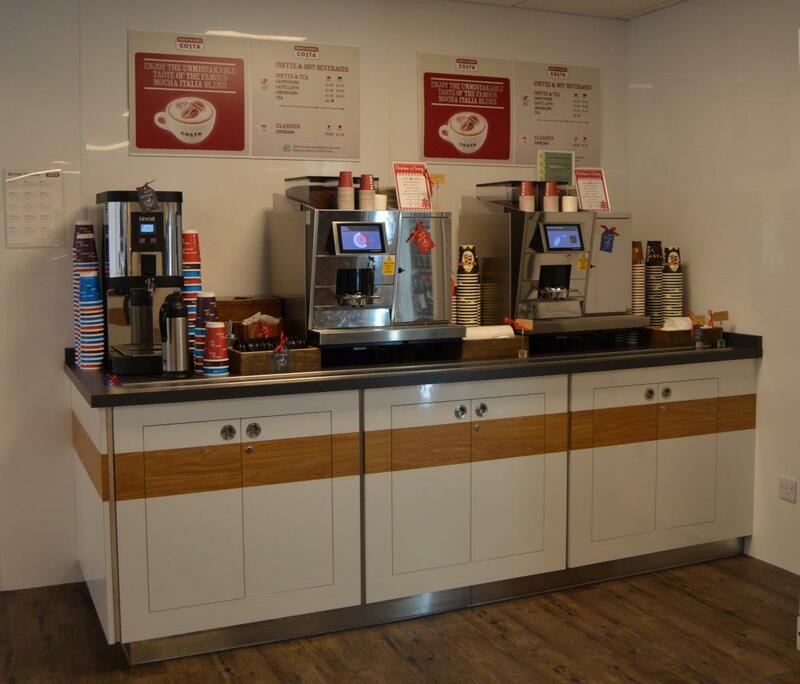 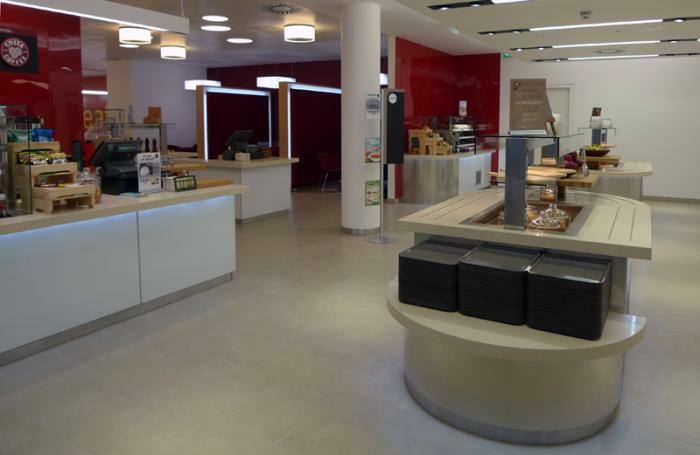 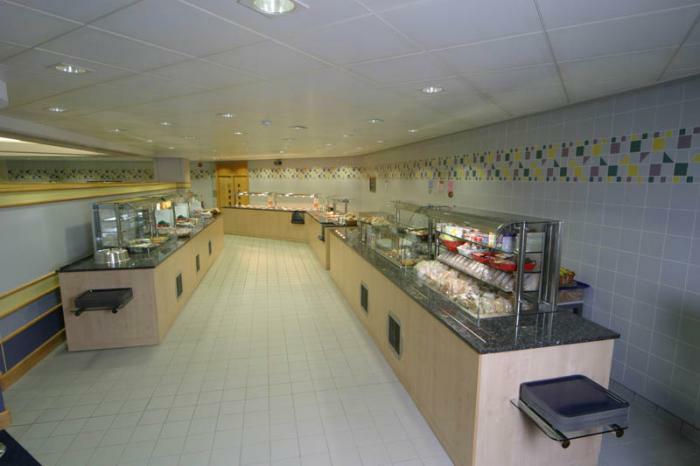 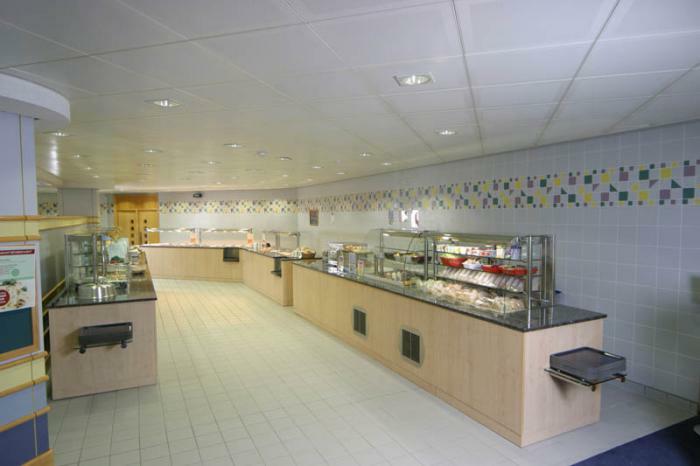 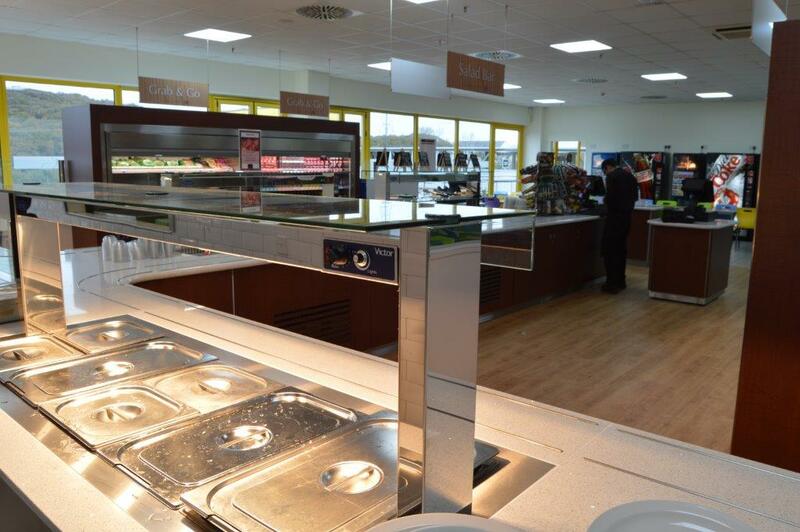 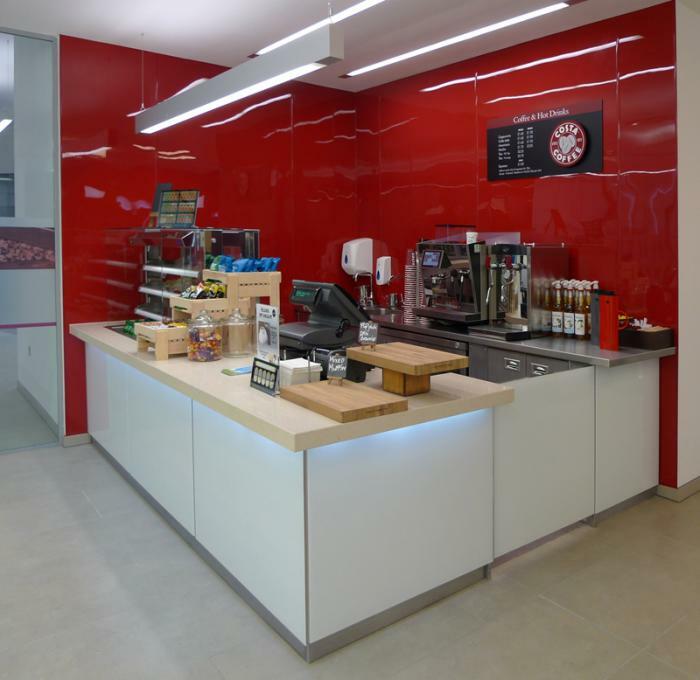 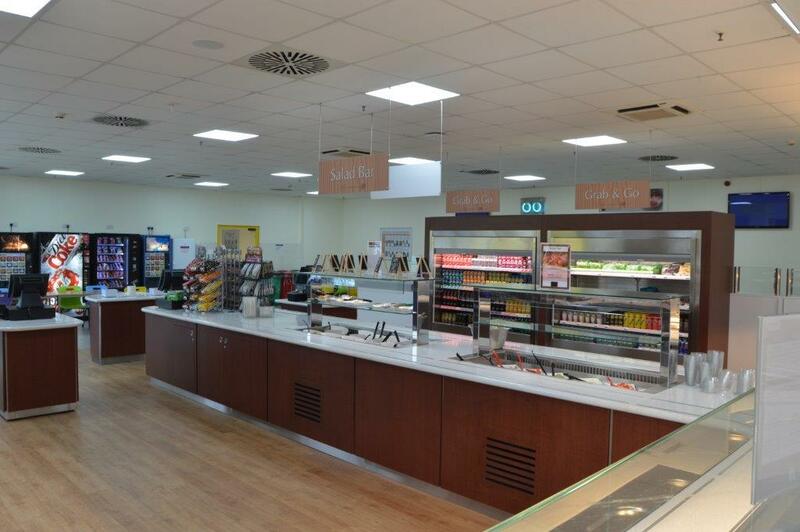 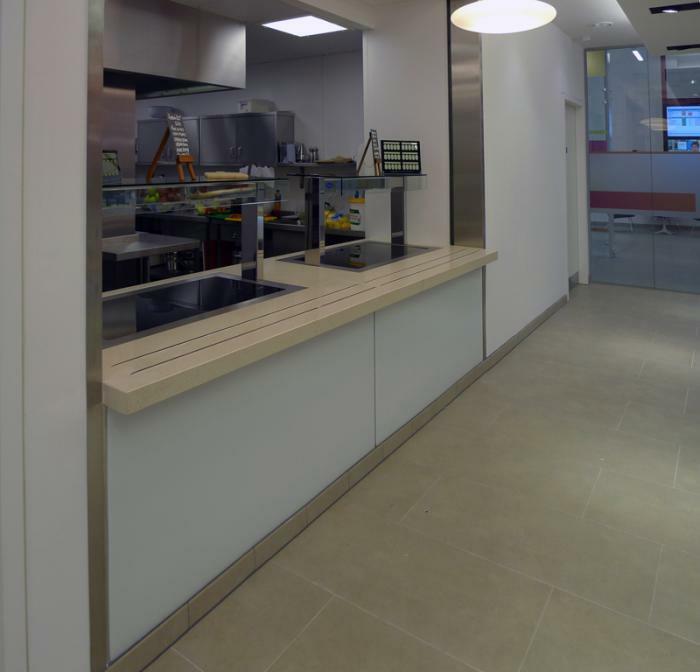 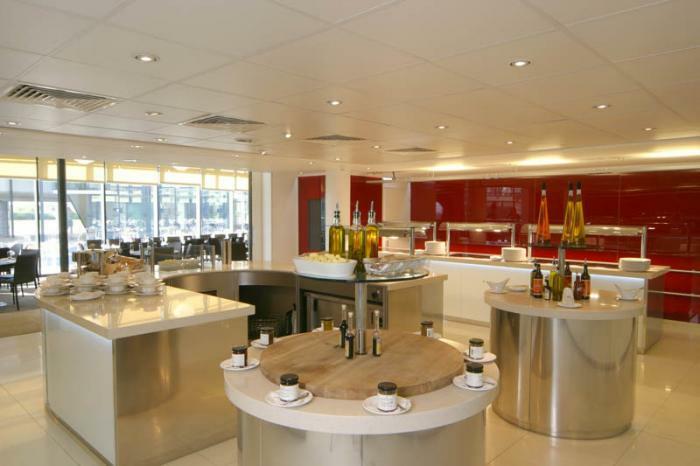 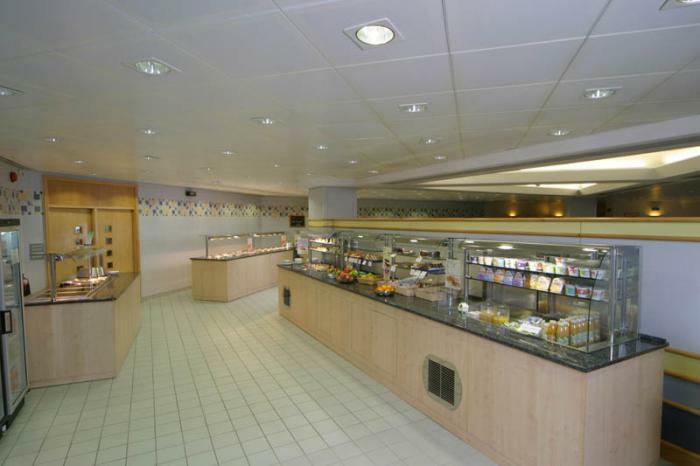 Comprises several Heated Bains Marie units, Refrigerated sections sandwich make up deli bar and large drinks station. 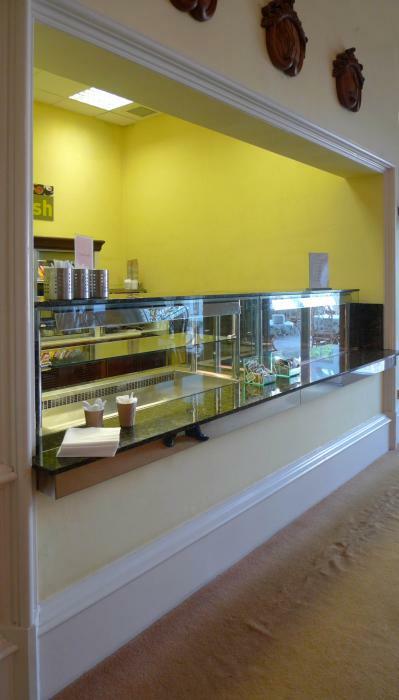 Fixed Servery Counter installed between walls with roller shutter to front. 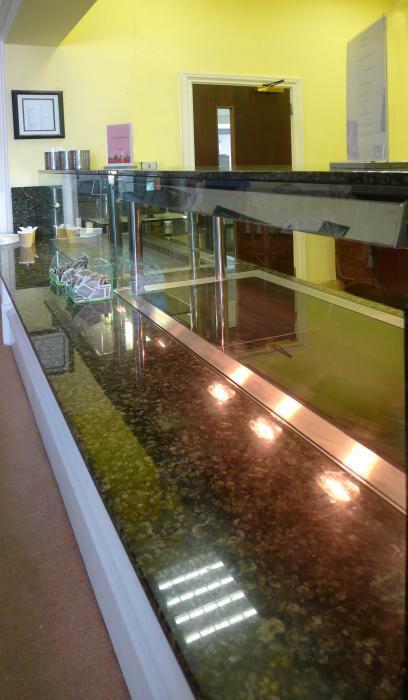 Features open fronted refrigerated multi-tier and heated bain marie section enclosed by UV bonded full height flat glass screen. 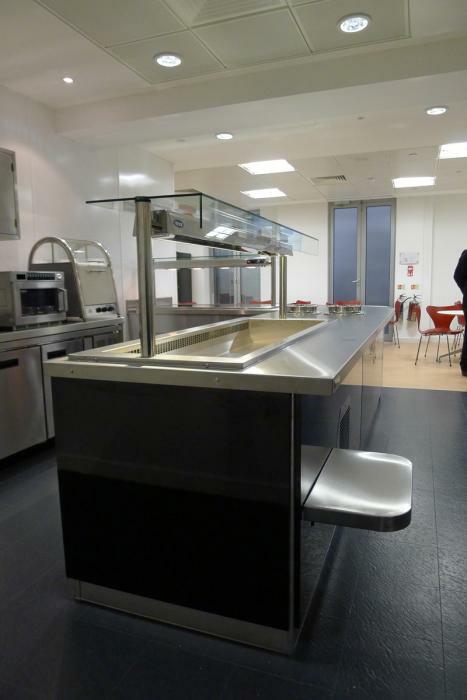 Replacement counter in an existing training centre of a large organisation. 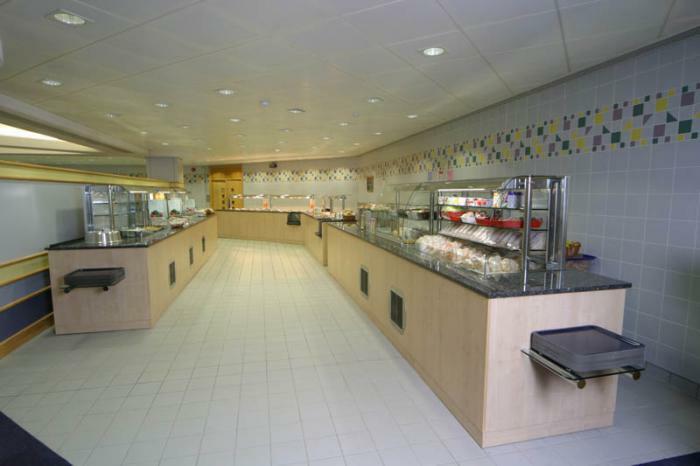 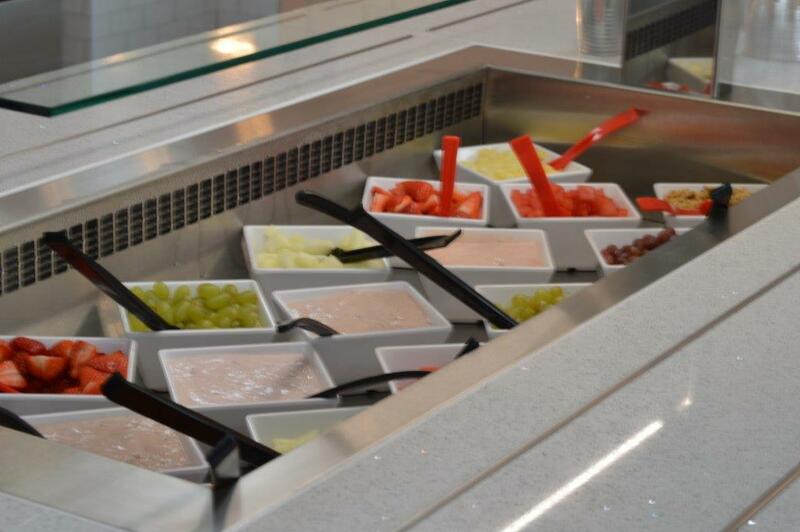 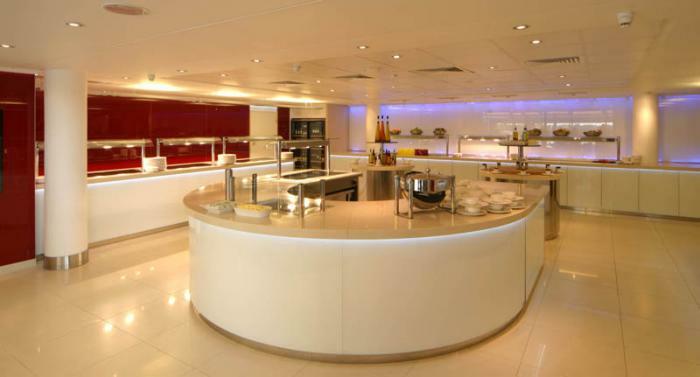 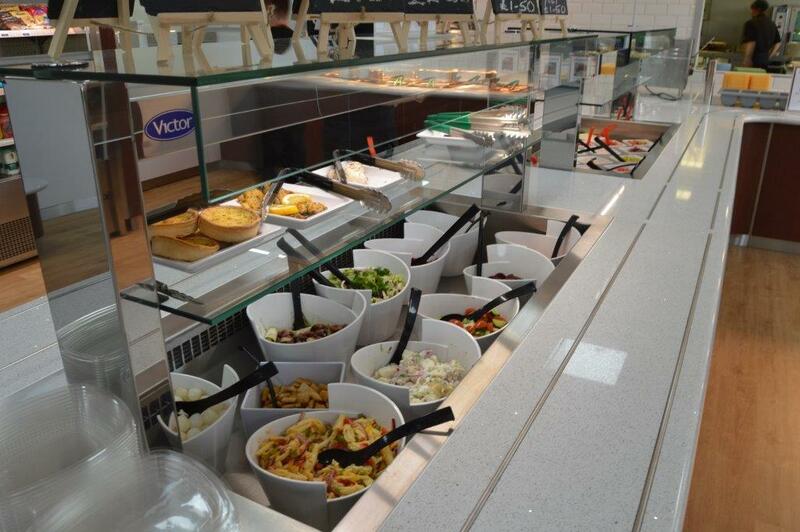 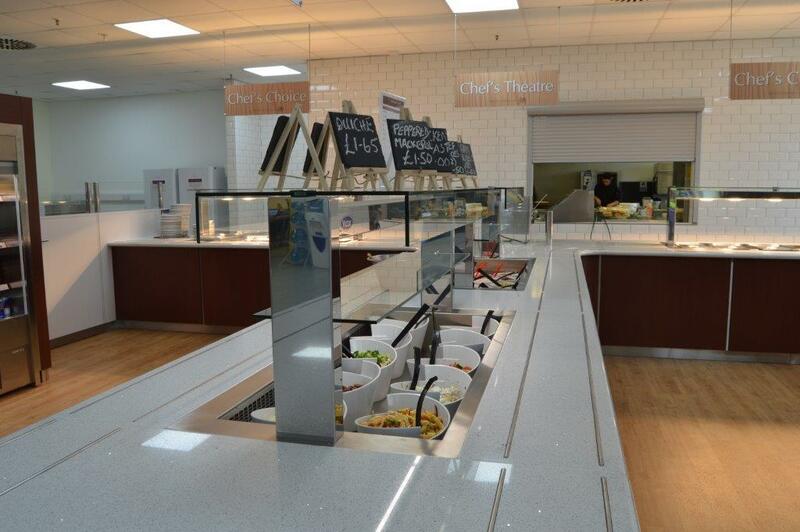 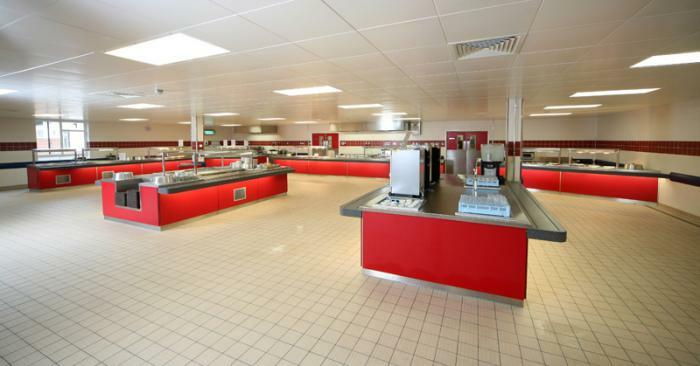 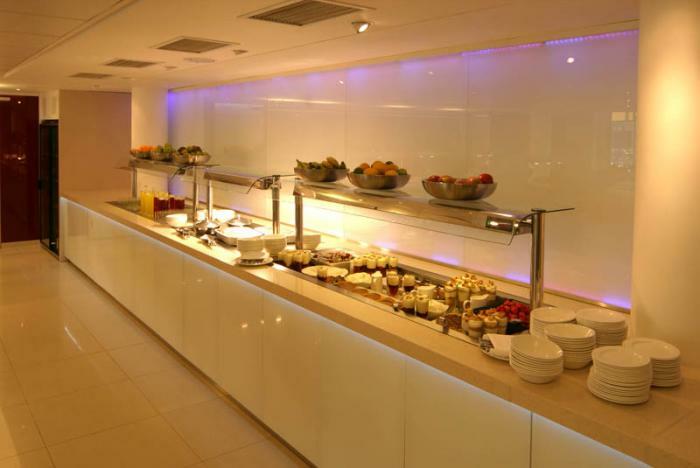 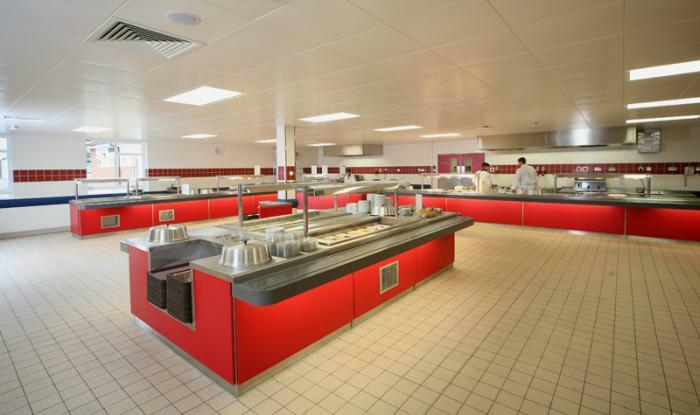 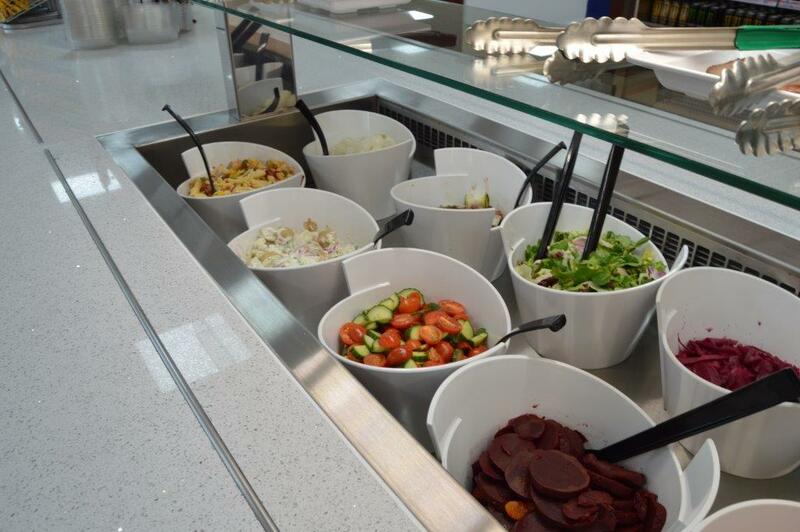 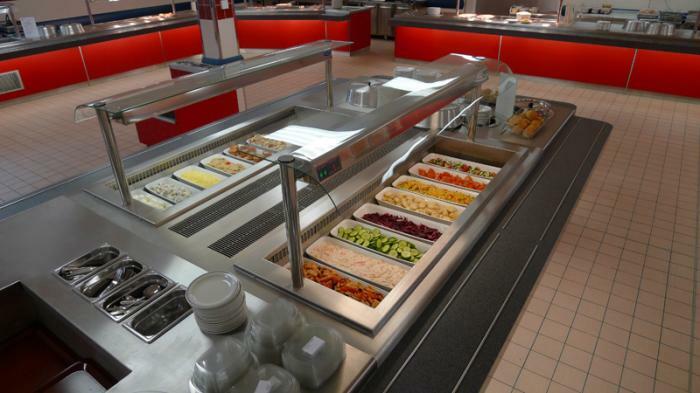 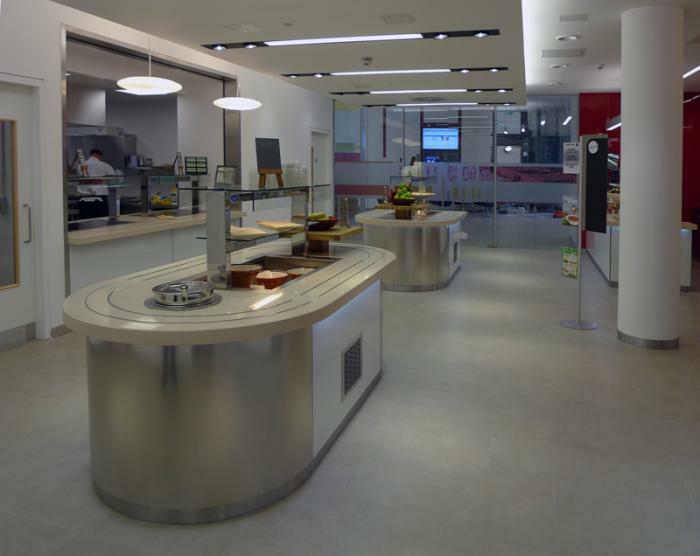 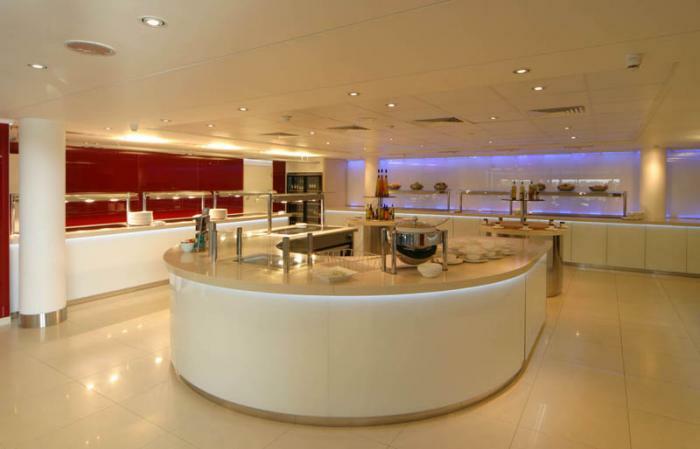 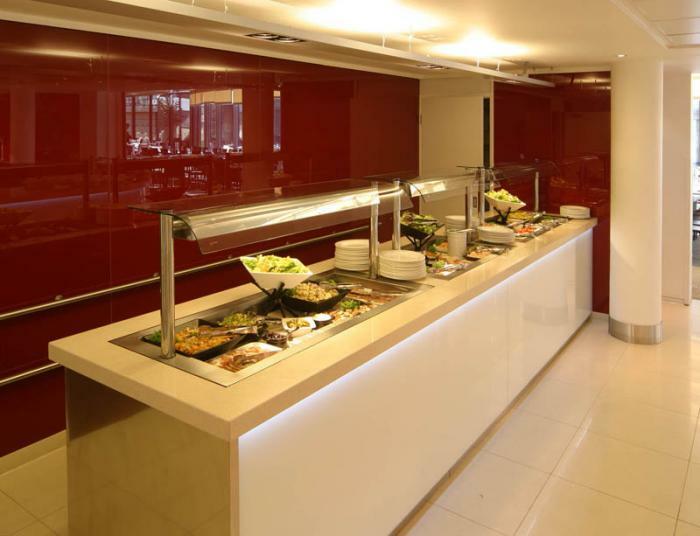 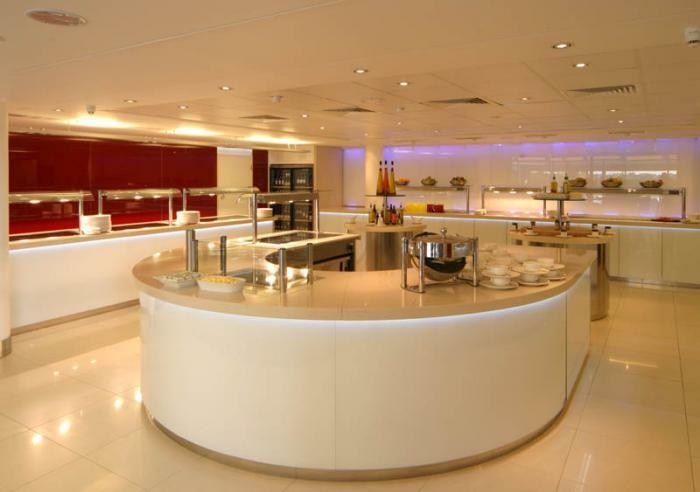 The installation consists of four main areas; chef’s theatre, hot main meals, deserts and a salad bar. 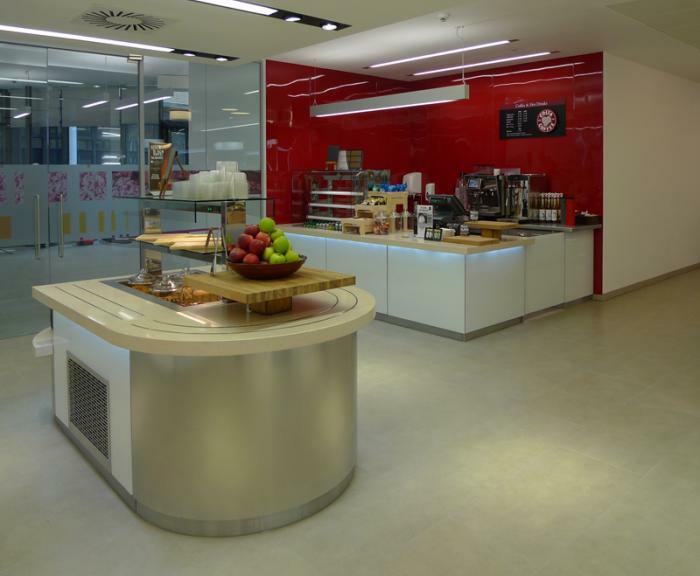 Designed in conjunction with Square Dot, the counter features Silestone counter tops, LED lighting and glass fronted body panels, this allows the counter to compliment the glass wall panels with computer controlled mood lighting. 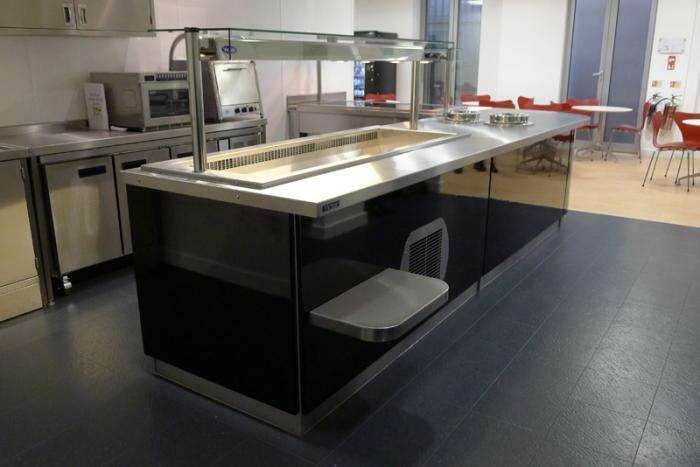 The counter is finished in Maple wood laminate with stainless steel arm curved glass gantry, with 30mm black granite work top inlayed with stainless steel tray runners. 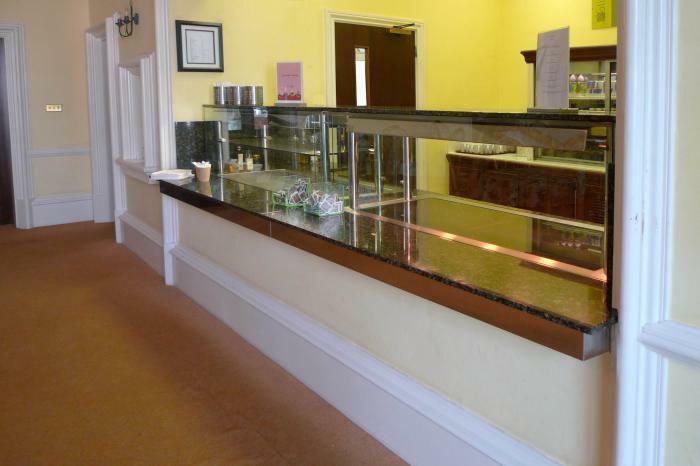 Bespoke glass and granite feature at the tray pick up points. 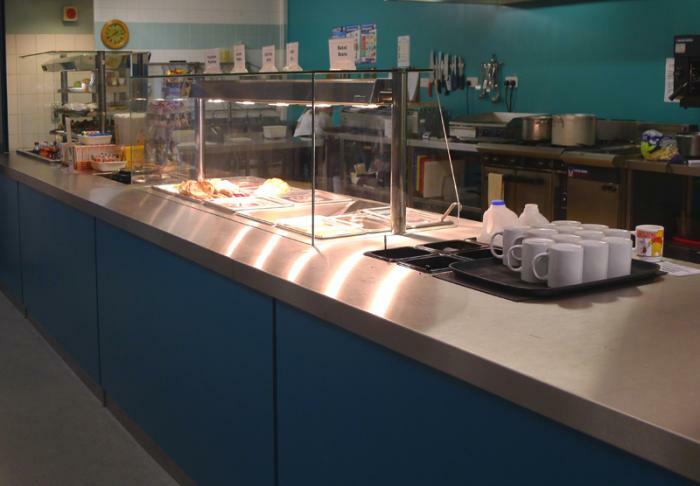 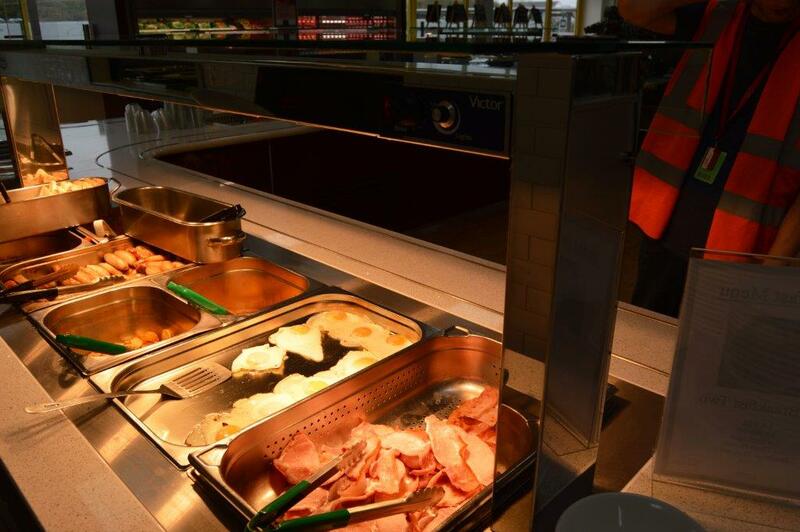 This install was completed over a weekend allowing staff to be served on Friday lunch from the old counter and Monday breakfast from the new one. 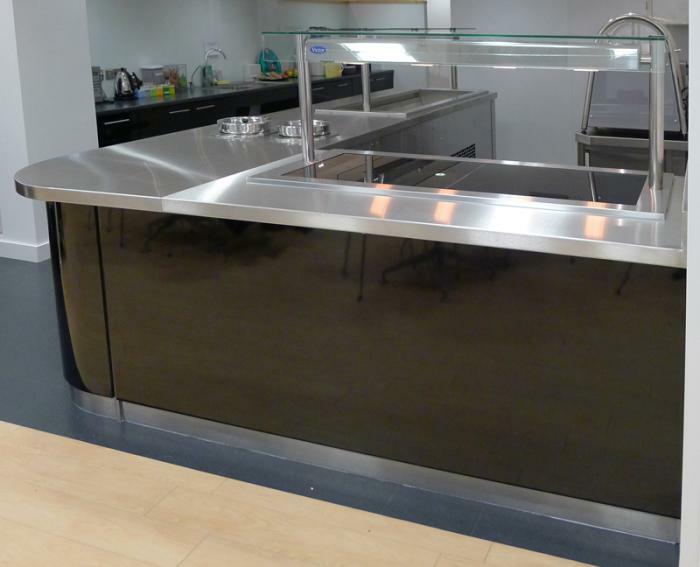 Stainless Steel extended top counter featuring salad well, heated glass top section, inset soup wells, High Gloss front panels and tray pick up point.